You don’t need to be the Great Detective himself to deduce that Sherlock is not a usual adaptation of Conan Doyle’s beloved books. The thing which makes it different from all the others (well, apart from Elementary) is that it moves the characters to the modern-day. Well, if you like Sherlock (what am I saying? Why would you be here if you didn’t like Sherlock?) then you should check out these five other weird Holmes adaptations that also put a twist on the detective. 26 episodes were made before complications with the Conan Doyle estate prevented any more. You can watch the series on Amazon here. Be warned – this isn’t one for Sherlock Holmes purists (though if you’re one of them, you probably don’t like Sherlock either). Contradicting the stories, Young Sherlock Holmes has a teenage Holmes and Watson meeting at boarding school – where they quickly team up to foil a terrible mystery involving hallucinogenic poisons and Egyptian pyramids. 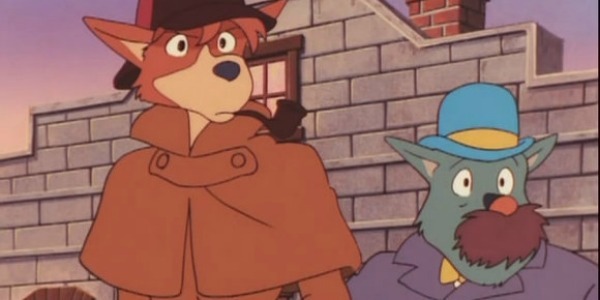 If Sherlock Hound didn’t satisfy your need for a wacky Sherlock animated series, then try Sherlock Holmes in the 22nd Century. The series sees Holmes awoken from suspended animation (he’s bizarrely frozen in honey, in a nod to Holmes’ bee-keeping) in the far future to stop a clone of Professor Moriarty. 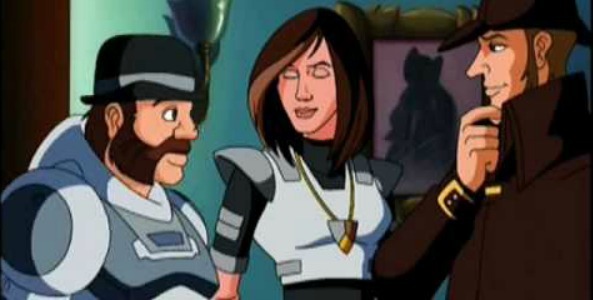 While solving sci-fi versions of classic Holmes cases, Holmes is accompanied by an android Watson and a descendant of the original Lestrade, Beth. If you love Sherlock but thought it could do with more robots and clones, then this is the series for you! Watch the first episode on Youtube here. Even if you’ve seen the series before, give it another go and try to spot all the many Holmesian references hidden in the show. 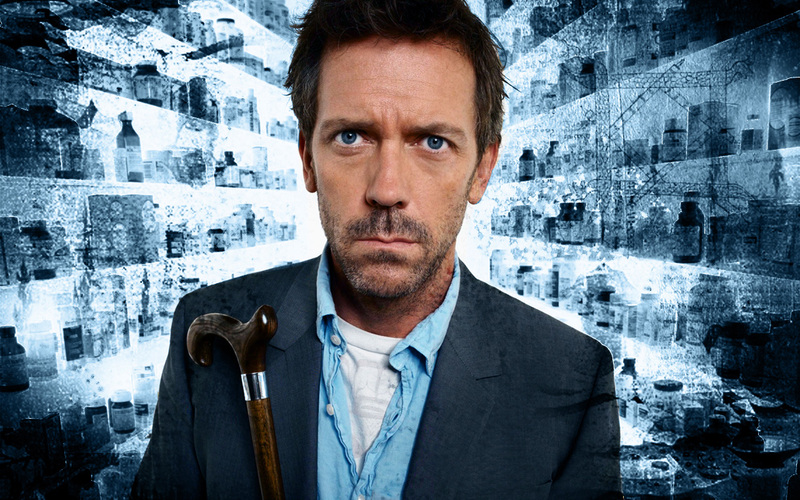 Hopefully Hugh Laurie will turn up in a straight Holmes adaptation some time. Maybe he could even appear in Sherlock as the third Holmes brother? 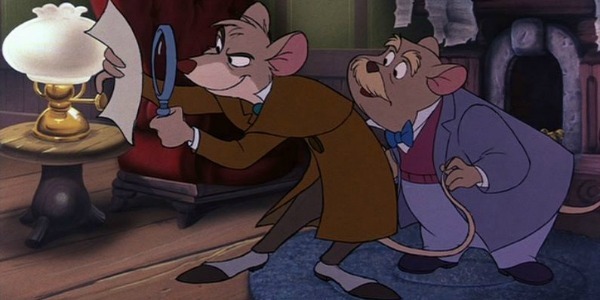 Our favourite alternative Sherlock Holmes adaptation, however, is this delightful Disney film which follows the adventures of the intrepid mouse detective who lives underneath 221B Baker Street. With his best friend Dr Dawson and legendary actor Vincent Price as his nemesis Professor Ratigan, it’s a clever rendering of the world of Sherlock Holmes in a Disneyfied style. 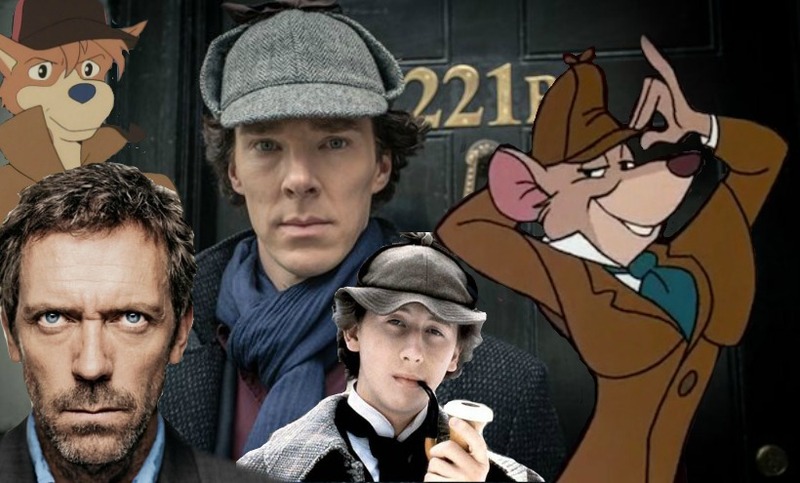 If you’re a Sherlock and Disney fan, you must see it – the film’s success was instrumental in the company putting their faith back into their animated films, thereby creating the later run of hits like The Lion King and Aladdin. Sherlock Holmes saves the day again! Did we leave out your favourite out-there Sherlock Holmes adaptation? Let us know in the comments! There’s a scene in Ian McKellen’s “Mr. Holmes” where Holmes attends a movie that’s based on Watson’s account of one of his cases. 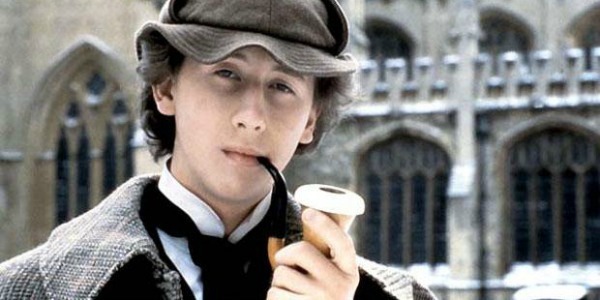 The actor playing Holmes in that movie is none other than Nicholas Rowe — who 30 years earlier had played “Young Sherlock Holmes”! In the anime department, there are “Detective Conan” and the not worth mentioning “Vampire Holmes”.